(Co-captain of the National Moot Court Trial Team; International Academy of Trial Lawyers Award for Distinguished Achievement in Oral Advocacy; Weber Moot Court Award for Outstanding Achievement in the Art of Oral Argument; Research Assistant to G. Robert Blakey, former Notre Dame professor and author of the RICO statute). Patrick Ryan is a Principal of the firm. He is Co-Chair of the firm’s Antitrust Practice Group. He litigates cases throughout the United States and concentrates his practice on a cross section of complex commercial, antitrust, class action, false advertising, intellectual property, anti-counterfeiting/supply chain, regulatory and constitutional litigation. Patrick has successfully litigated numerous matters for major corporate clients, as both defendants and plaintiffs, in a variety of industries, including manufacturing, automotive, software, healthcare, retail, biotech and real estate. He has federal and state courtroom experience, including both bench and jury trials, as well as experience with critical law-and-motion matters. He also appears before both federal and state appellate courts. In addition to litigating high-stakes cases for major corporate clients, Patrick provides in-depth business-centric counseling to clients in the areas of general commercial litigation, antitrust, class action and anti-counterfeiting matters. He gets to know a client’s business and finds a way to substantially mitigate litigation risk while at the same time helping the client improve its bottom line. Patrick is known for being an excellent crisis manager who has led collaborative teams of dozens of lawyers across multiple law firms to achieve success for an industry or a group of clients. He also works with client legal and business teams, as well as industry consultants, to solve critical problems and efficiently manage crisis situations so that the client can achieve its business goals, greatly mitigate risk and sometimes even avoid regulatory or litigation exposure before it happens. 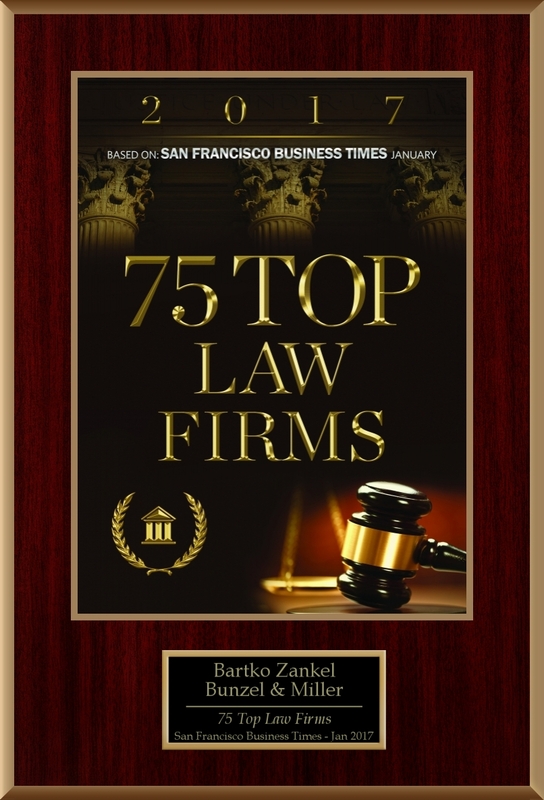 For example, he has anticipated potential risk for clients in the areas of antitrust and class action and has worked with clients to mitigate such risk, or, in some instances, eliminate the risk before a lawsuit is filed, saving clients tens of millions in potential damages and attorney fees. Patrick is a people person who communicates just as effectively one-on-one with opposing counsel and governmental officials as he does with judges and juries in the courtroom, enabling him to resolve situations creatively and quickly. Prior to joining the firm, Patrick was a Partner and Chairman of Jeffer, Mangels, Butler & Mitchell, LLP Antitrust Group in San Francisco. 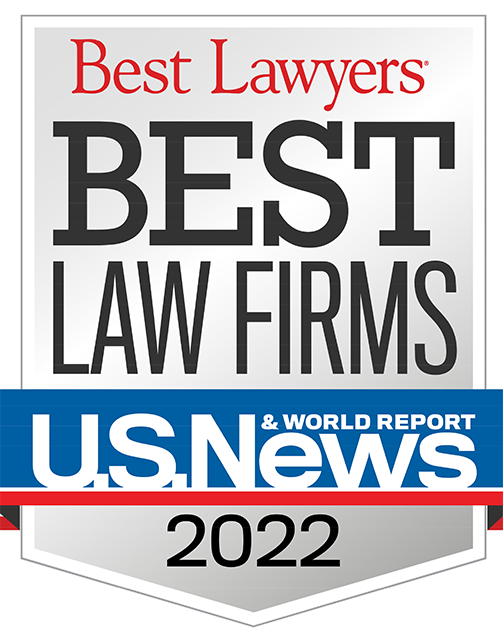 Before joining JMBM, he was a Partner in the commercial litigation and antitrust practice groups of two global law firms—Winston & Strawn LLP and Morgan, Lewis & Bockius LLP. Patrick led the client team that received the 2011 commercial litigation law firm of the year award from a major electronics manufacturing company. He has led joint-defense teams representing dozens of large manufacturing companies accused of price fixing, among other things. In 2013, Patrick joined the firm so that he could take on more affirmative claim work with fewer conflicts and be able to provide more flexible fee structures to clients. Patrick actively advises, counsels and litigates on behalf of victims of anticompetitive conduct. Patrick led a team and coordinated a pool of patent litigation and ITC matters for a global network and communications manufacturer and its customers. Patrick led a team defending antitrust claims and filed counter-claims under the Computer Fraud and Abuse Act (CFAA) for a global electronics manufacturer. He obtained summary judgment in his client’s favor holding that the plaintiff had violated the CFAA. The antitrust action was then settled without client liability. Patrick led a multi-client and multi-law-firm joint-defense team for a major electronics manufacturer tasked with opposing class certification for all defendants in an antitrust indirect purchaser action. His team obtained preclusive sanctions against the plaintiffs for spoilation of evidence and failure to disclose to defendants data and information considered by plaintiffs’ experts in formulating their opinions in support of class certification. Patrick represented Arizona and Nevada dairy farmers who were challenging California’s dairy regulations, successfully arguing that the law discriminated against out-of-state dairy farmers in favor of in-state farmers. Following remand from the United States Supreme Court, Patrick drafted and argued the merits of a motion for summary judgment on the out-of-state dairy farmers’ “dormant Commerce Clause” claim against the California Department of Food and Agriculture. The motion was granted in a published decision resulting in a permanent injunction against the enforcement of the key portion of California’s dairy regulations. Patrick also drafted the motion for attorneys’ fees that resulted in award of attorneys’ fees in excess of $2 million. In a case involving allegations that a consumer product did not work as advertised, lacked appropriate regulatory approvals and harmed consumers, Patrick led multi-law-firm teams charged with opposing class certification in multiple federal and state jurisdictions and negotiated and drafted major class action settlements, including settlements under the Class Action Fairness Act (CAFA). Patrick litigated false advertising claims under state laws, as well as the Lanham Act, on behalf of major consumer product manufacturers in various jurisdictions across the United States. Patrick handled critical motions and appellate work on behalf of a major consumer electronics retailer, including briefing before federal and state appellate courts. He led the attorney team and co-authored a motion for summary adjudication in the Northern District of California in a novel application of California’s litigation privilege which resulted in a dismissal with prejudice of a major intentional interference counterclaim brought against his client. The matter also involved the application of California’s anti-SLAPP statute in federal court. Patrick represented a software developer of active source-code replication technology in a dispute with one of its founders who was also a board member and officer. The matter was resolved quickly and favorably following the filing of actions in the Delaware Court of Chancery. Patrick brought a breach-of-fiduciary-duty, legal malpractice and CFAA lawsuit in federal court against a telecommunications company’s former general counsel in an action related to the ownership of key patents. He quickly obtained a preliminary injunction and, within roughly three months, brought a motion for summary adjudication, which was granted for legal malpractice and breach of fiduciary duty. The case settled soon thereafter on very favorable terms. Patrick appeared as amicus in a successful appeal and presented oral argument before the California Supreme Court in a case involving the former Governor of Colorado and the jurisdiction and interpretation of California’s anti-SLAPP statute. Patrick first-chaired a successful two-and-a-half-week jury trial in a federal court case involving complex real estate and contractual interpretation issues. First Nat’l Mortg. Co. v. Federal Realty Inv. Trust, 2006 WL 2228941 (N.D. Cal. Aug. 3, 2006) (order denying FRIT’s motion in limine to exclude evidence related to duration of ground lease on the basis of the parol evidence rule and statute of frauds); First Nat’l Mortg. Co. v. Federal Realty Inv. Trust, 2007 WL 581872 (N.D. Cal. Feb. 26, 2007) (order denying FRIT’s post-trial motions); First Nat’l Mortg. Co. v. Federal Realty Inv. Trust, 2007 WL 1831113 (N.D. Cal. June 25, 2007) (order denying FRIT’s motion for reconsideration, holding that Sterling v. Taylor, 40 Cal. 4th 757 (2007) directly supports the court’s admission of extrinsic evidence with respect to lease duration regardless of whether the lease is ambiguous on its face. Patrick first-chaired a two-week bench trial on damages that led to judgment being entered for his client in the amount of $15.9 million plus costs. First Nat’l Mortg. Co. v. Federal Realty Inv. Trust, 633 F. Supp. 2d 985 (N.D. Cal. 2009). Mr. Ryan briefed and argued the response to Federal Realty’s appeal in which the Ninth Circuit affirmed the $16.1 million judgment. First Nat’l Mortg. Co. v. Federal Realty Inv. Trust, 631 F.3d 1058 (9th Cir. 2011). Patrick represented Interpol Pretoria and some of its employees in a dispute involving an alleged $7 million plus fugitive reward related to the alleged arrest and conviction of suspects accused of embezzling $72 million and attempted murder of a famous South African race-horse trainer. He co-authored the motion to dismiss that led to the dismissal of all individual defendants and a motion to dismiss the amended complaint that led to Interpol Pretoria being dismissed with prejudice on multiple grounds, including that the court lacked subject matter jurisdiction under the Foreign Sovereign Immunities Act (FSIA), 28 U.S.C. § 1602 et seq. ; AR Int’l Anti-Fraud Systems, Inc. v. Interpol Pretoria et al., 634 F. Supp. 2d 1108 (E.D. Cal. 2009). Patrick co‑tried a three-week jury trial in federal court on behalf of a major insurance company which resulted in a defense verdict in favor of his client. The plaintiff was seeking $5 million in damages. He drafted the answering brief in the Ninth Circuit upon the losing plaintiff’s appeal which resulted in the affirmation of the jury’s verdict. Patrick represented a software developer accused of stealing the trade secrets of a competitor. At the time of the retention, the client was facing a pending motion for preliminary injunction which threatened to put it out of business. Mr. Ryan led the team on this matter, including mastering the technical issues, researching, interviewing and retaining top experts. Less than a month after his retention, the case settled and the complaint was dismissed with prejudice. Patrick successfully represented a major health care company in a three-week bench trial in a case involving complex real estate issues. He later represented the client in appellate courts on a variety of statutory and constitutional issues. Patrick represented a European auto parts distributor in a CFAA action arising out of competitors hacking and downloading the client’s private members-only Web-based database. Patrick coordinated with the U.S. Attorney’s Office respecting a parallel criminal proceeding that resulted in a grand jury indictment and guilty pleas by some of the same defendants sued in the civil proceeding. The civil action was concluded with a substantial judgment being awarded against the former president of the competitor. Patrick represented major clients in disputes with governmental agencies regarding the amount of taxes owed. Patrick represented major retailers in trademark, copyright and cybersquatting disputes and handled significant matters involving the French Blocking Statute and other similar discovery blocking statutes. Representing the wholesaler of fine European furniture, Patrick first-chaired a successful three-week jury trial in California Superior Court in a case involving complex real estate issues. Patrick defended a major energy company and its officers against breach of fiduciary duty claims by the minority shareholders of a subsidiary company. The claims were resolved successfully after Patrick obtained an order from the court striking key portions of the plaintiffs’ complaint. In a pro bono matter, Patrick filed two 12(b)(6) motions, both of which resulted in the dismissal of claims against his client with prejudice. The first motion defeated a nuisance claim on a novel procedural due process issue. Swords to Plowshares v. Smith, 294 F. Supp. 2d 1067 (N.D. Cal. 2002). In the second matter, he defeated a similar claim on res judicata grounds. He then co-authored an opposition to a remand motion which resulted in an important published decision on a novel aspect of federal enclave jurisdiction involving the Presidio in San Francisco. Swords to Plowshares v. Kemp, 423 F. Supp. 2d 1031 (N.D. Cal. 2005). The court then granted a motion for judgment on the pleadings and dismissed the case with prejudice. Swords to Plowshares v. Kemp, 2005 WL 3882063 (N.D. Cal. October 18, 2005).